Nobody wants to think their home is at risk from damp, mould and mildew, however for thousands of householders, this is a very real problem, and for many others, a potential issue just waiting to develop under the right circumstances. This website hopes to provide an outline of the main causes of damp, mould on walls and condensation on windows, and more importantly, how to deal with them. The biggest problem with damp is that there is no magic solution that is guaranteed to work, more a selection of suggestions that might help to eradicate it. As such, the information here is intended as a starting point, but you should consult a surveyor or damp proofing specialist for detailed advice on how to tackle damp in your property if it does not appear to be reducing or drying out. The three main causes of damp in the home are condensation, rising damp and penetrating damp, all of which, if left untreated, will eventually lead to mould on walls and ceilings and ultimately structural problems. Each can be resolved, some with simple measures, others requiring the services of a professional, and we cover what you can do yourself and when you should call for a surveyor.Some causes of mould are due to the deliberate actions – whether knowingly or not – of the resident, and the kitchen and bathroom, two rooms you are certain to find in virtually every household, are prime to suffer from condensation due to poor ventilation before, during and after use. Measures to reduce condensation will quickly reduce the possibilities of damp and mould forming, and are covered on this website. Rising damp is a problem that has been around for as long as man has built shelters, and with it the threat of mould and damp. Modern Building Regulations insist on a damp-proof course in all new-built properties, leaving the problem almost exclusively to older buildings, which can make it more difficult to treat. Penetrating damp – also known as rain penetration – is largely due to a lack of maintenance, with building faults, such as cracked tiles and problems around windows, allowing water to penetrate the exterior of the building. Uncovering the issue that is creating the problem is not always obvious. Pinpointing the cause of damp and mould is not easy, however there are a range of methods to assist with this, from cheap and cheerful through to electrical appliances used by professionals, such as damp meters, which can be used to give an indication of the relative dampness of masonry – including plaster – and timber. Whilst prevention may be better than cure, once you have a damp and mould problem, you need to address it. The best methods of removing damp and mould are discussed on this website, from what you can do with easily obtainable supplies, through to how to deal with walls and ceilings once the mould has been removed and the damp solved. This includes the best mould remover and also how to treat the walls with anti mould paint. Preventing and treating the causes of damp and mould do not always require extensive in-depth knowledge, and although sometimes the professional services of a surveyor will be needed, the information provided here should assist in ensuring you can cover many of the basic checks first. 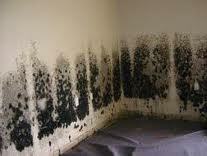 Don’t let damp and mould in your home cast a rain cloud over you and your family any longer! to read our helpful articles on tackling mould, mildew and damp in the home click the links above. Read More about Mould and Mildew – What is the difference? Read More about What Causes Black Mould? Read More about What is The Best Mould Remover?